Are you going to be doing any more vids for nfbusty soon? The one you did is amazing! 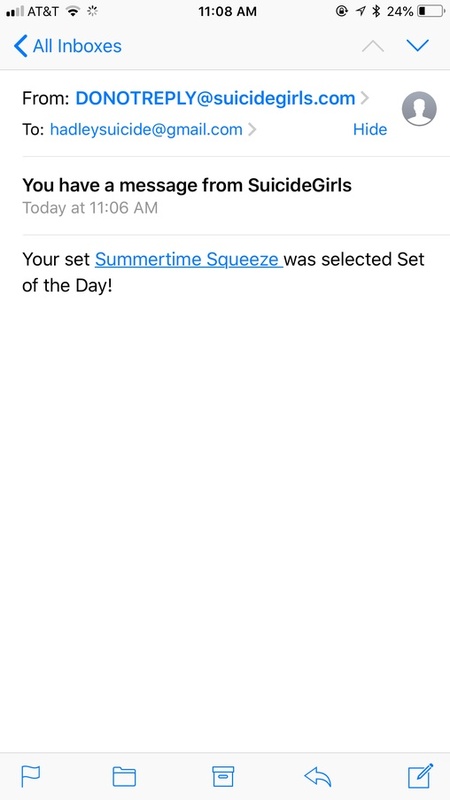 Summertime Squeeze shot by @caustix has been selected as SOTD!! I cannot believe it! Thank you SO much @missy @rambo @sean SGHQ and everyone who gave my set love and made this possible!! shot by @caustix has been selected as SOTD!! I cannot believe it! Thank you SO much @missy @rambo @sean SGHQ and everyone who gave my set love and made this possible!! A great set! An alltime fave!!! Summertime Squeeze is finally live! Fianlly! After what seemed like forever my newest set shot by @caustix “Summertime Squeeze” is officially in Member review! Go give it some love so hopefully this set will be on the front page!! It is an incredible set!! Well worth the wait! there is only 2 months & 1 week let until Summertime Squeeze by @caustix goes live in MR! I am so excited for this one you guys! so it has been a quite a while since I've done any type of blog homework or post other then updates open upcoming sets so I figured tonight would be the best night to sit down and do this! hmm where to start.. I guess with the most recent thing thats happened! today I got offered a part time job at a local adult boutique in my area and I am so excited to start next Tuesday! Its my go to shop when I don't want to buy the item offline. I have wanted to work in an adult boutique for a really long time, so I guess you could say that this is a dream Job for me. well, one of them at least! secondly, I moved! I am still living in Los Angeles, actually only 5 minute drive from where used to live. I have the coziest room and I am really proud of it. my roommate is awesome, but you all now that because it is @panther <3 she is honestly so great to live with and we have really gotten closer these last few months! and lastly.. this blog wouldn't be complete without an update on my current sets in queue. there is only 2 months and three weeks left until Summertime Squeeze shot by @caustix hots MR. I also have a set that I shot with @realityfilter that I cannot WAIT to submit to the queue, but unfortunate it still doesn't have a name.. so keep your eyes peeled for updates on that set because I will tell you that it is FIRE. I hope that you all have an awesome weekend! Can't wait for the new sets! This past weekend I went on a mini 36 hour birthday vacation to Las Vegas! It was awesome to get away for Los Angeles for a little while and breathe!! It’s a plus that part of my family lives over there so i was able to stay with my uncle and save on sleeping accommodations. He also smokes a lot of cannabis so that also was a good reason to stay with him since i flew there and didn’t want to risk anything. I was able to finally shoot with Marcos Rivera which was so amazing!! I’ve admired his work for such a long time and working with him was just as great. We made some really steamy content. I’m really hoping to be able to work with him again in the future!! And i FINALLY got to meet @zen and holy moly she’s such an amazing human! We went to lunch and i had the most amazing lavender iced latte i have ever had. We didn’t get to shoot this time but things are on the works!! i didn’t get home until 2:30am because my flight was delayed by 45 minutes coming home. Thankfully the flight is only 35-50 minutes depending. This set is so steamy and hot that i can only give you these two previews! !